Face it, mold growing in bathroom is not only disgusting but can be a health hazard. The sad fact is that if mold is going to grow anywhere, it's going to grow in the heat and high humidity of a frequently used bathroom. Fortunately, there are ways to build a bathroom that stops mold before it starts. 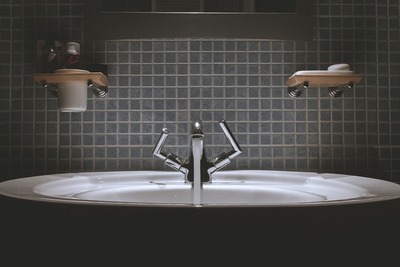 For a brand new bathroom or a bathroom that is being totally renovated, it is important to pick materials that resist the moisture mold is often attracted to. One of these materials is mold-resistant drywall. Drywall that's not mold-resistant has a paper facing that mold finds irresistible. Paper, after all, is just ground up plant material. The newer, mold-resistant drywall's facing is made of a fiberglass mat which mold finds unappetizing. A less expensive alternative is to install greenboard in the bathroom. Greenboard is a water-resistant type of gypsum board and is the green color of a chalkboard to help people differentiate it from standard gypsum board. Greenboard is faced with a coating of paper that's protected by wax. The floor tiles used for bathrooms are excellent at stopping mold. Ceramic and porcelain tiles are vitreous and nonporous and mold can't get established on them. However, other types of tile such as terra cotta may be porous and need sealing. Grout is porous by nature, and it must be sealed even if it's used on vitreous tile to keep mold from growing there. Moreover, the mold won't stay in the grout but creep behind the tile and attack, or try to attack, the wall. Sealing grout is admittedly painstaking. The choice of sealer is up to the homeowner, and it is a good idea to ask for advice from tile shops. The sealer is applied to the grout lines with an applicator and a brush. 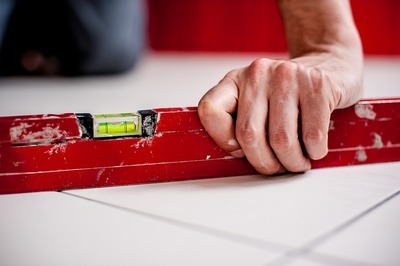 When it comes to the floor tiles, the homeowner should invest in a pair of kneepads, for they will be on their hands and knees for as long as it takes to seal the grout. A quicker way for sealing tile and grout is to simply spray the whole surface, and let the sealer sink into the porous grout and eventually evaporate or be wiped away from the hard, slick surface of the tiles. The sealing process for tiles that are porous can use either natural products such as boiled linseed oil and wax or synthetics that are wax or water based. 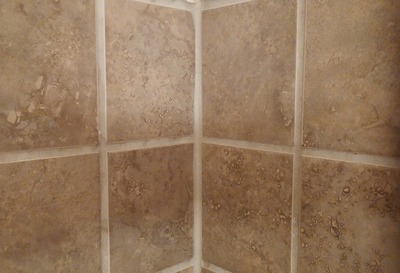 With the linseed oil method, several coats are applied to ungrouted tile. The grout is then inserted, the sealant is left to cure and the residue cleaned away. The grout is then sealed. With synthetics, the tile is washed and then pre-sealed with stone sealant. They are left to cure for about 24 hours, then the grout is applied, and the tile and grout are both sealed. If a homeowner can't completely renovate the bathroom, they can still clean any mold out of the grout. Make a solution of one cup of white vinegar and one cup of water, place it in a spray bottle and spray the grout. Let it sit for 5 minutes or so, scrub with a grout brush or an old toothbrush, then rinse. The bathroom must also be well ventilated to discourage mold. 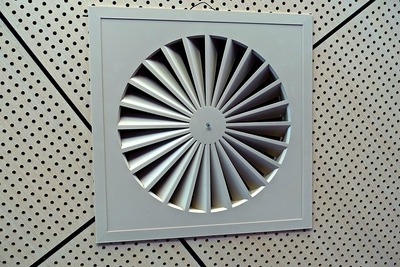 Experts suggest an intermittent venting of 50 cubic feet per minute or a continuous venting of 20 cfm. The exhaust van can be connected to the light switch but have a delay of about 15 minutes so it can keep running after the room has been vacated. Mold is gross. Preventing it is much easier than getting rid of it, and the good news is that preventing it is fairly simple!